With the holidays here you probably have extra people in your home. And those extra people might just track in some dirt or spill some food or drink. Don't despair! There are lots of easy ways to keep your carpet in tip-top shape and the experts at Kermans are here to help. Get to the stain immediately: the faster you clean up the stain, the easier it is to remove. Blot don't rub: Work from the outside in and soak up the spill with a clean towel. Do not rub or you could stain the carpet even more. Dry completely: After you clean a spill your rug will likely be wet. Dry the spot by folding several paper towels, placing them on the wet spot and weighing them down with something heavy. Change to dry paper towels after 5-10 minutes and let sit for a few hours or until dry. 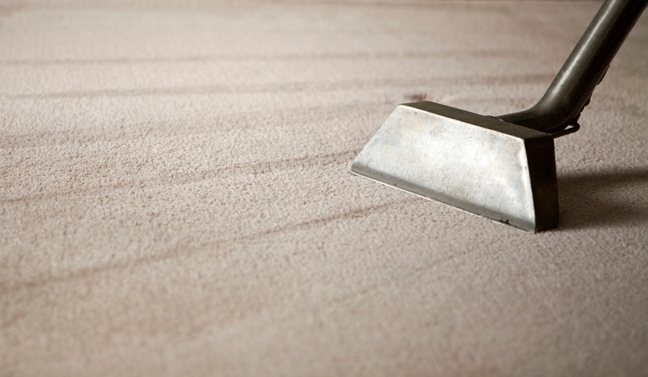 More carpet care tips from Kermans.